The Criminal Investigations Department of the Ghana Police Service has another blot on its reputation owing to an alleged unprofessional and inappropriate conduct of some of its officers supposed to be investigating the murder of former Member of Parliament for Abuakwa North constituency, Joseph Boakye Danquah Adu. The wife of the late Member of Parliament, Ivy Heward-Mills in a post on Facebook describing her ordeal at the hands of family and the police in three years after her husband was murdered said some officers of the CID sexually harassed her during their investigations. She said in one of her meetings with officers of the CID at the Police Headquarters in Accra; an officer asked her if she wears waist beads, a question that was completely unrelated to the subject of the investigations. She added that one of the top officers, a married man, who sat in that meeting once called her on the phone and tried to convince her to marry him. Ivy Heward-Mills lamented that three years after the murder of her husband, the police and security agencies in the country are yet to ensure the conviction of anyone in connection with the killing when someone had been convicted and jailed in the UK less than six months after the person assassinated British politician, Jo Cox. Her sexual harassment claims will not come as a surprise to Ghanaian women who often take to social media to complain about the abuse and harassment they face from men in society. Ghanaian Police have also come under criticism for the inappropriate conduct of some of its officers who have been accused of sexual harassment. Recently 14 out of 46 police officers who were sent back from South Sudan over sexual abuse allegations were interdicted for the offence. The 46 men were on peacekeeping duty in South Sudan where they were alleged to have harassed and in some instances abused and violated vulnerable citizens of that country. In one such case, a woman was forced-kissed by a police officer at a barrier in Accra. 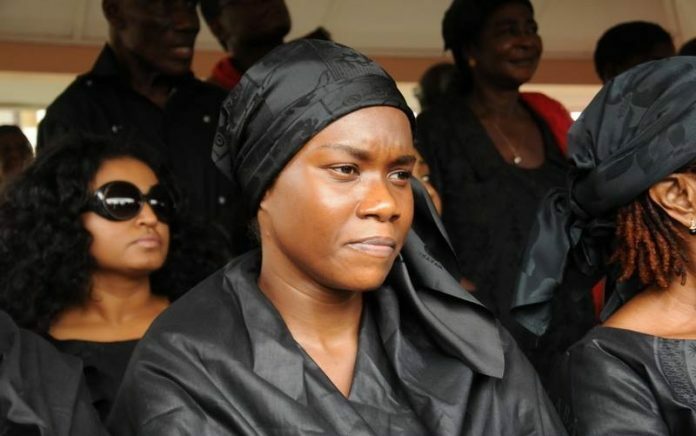 Narrating the challenges Ivy Danquah-Adu said following her husband’s murder, she had been subjected to accusations and all manner of harassment from persons including officers within the Police Service. The Member of Parliament for Abuakwa North constituency, Joseph Boakye Danquah Adu was killed in his home three years ago. The trial of the men arrested for killing him has been dragging in the courts.